Seriously, pets can really help with health issues like depression. Just check out this article from NewsWeek. I can even speak from experience. I used to have issues with depression. My dogs were always there to help me through the worst days. I don’t have issues with depression anymore but my dogs still bring a smile to my face and joy to my life. If you have health issues and/or are depressed, getting a pet might not be the answer for you and it certainly wouldn’t be the only answer. But think about it, and be sure to talk to your doctor. Above photo courtesy of IHasAHotDog.com. We have another gift idea for your pet lover friends… Donate to your local animal shelter!! 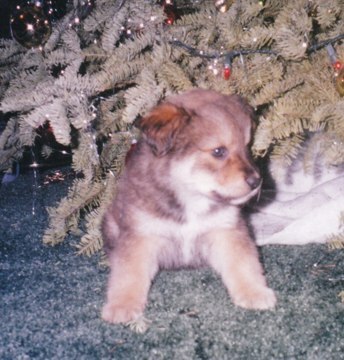 As stated in our previous blog, More Fun Than a Puppy Under the Christmas Tree, giving someone a dog for Christmas is not such a good idea. A lot of dogs adopted out or purchased at Christmas time end up back at the shelter after Christmas. So why not donate to the local animal shelter instead? Since a lot of dogs will be going back to the shelter after Christmas, this is the perfect gift for them until they can find their forever homes. 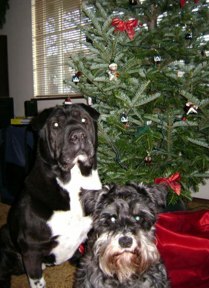 Check out Ming & Madison in front of the Christmas tree. Ming is a Shar Pei mix and Madison is a miniature Schnauzer. Ming and Madison belong to Marti and Mike and they are from Oregon. Share your holiday photos with us! Sign on to be a contributor or email us your photos at naturebydawn@aol.com. Are you considering getting someone a dog or puppy for Christmas? Before you do, consider one very important factor. Picking out the right dog can be a very personal experience. You wouldn’t go pick out someone else’s wedding dress, would you? Picking the perfect pet for someone else is just as wrong. Don’t do it!! They could describe every detail to you about what they want, but like finding the perfect wedding dress, picking out the right pet is based not just on description but also on emotion. The second most important factor to consider before getting someone a puppy for Christmas is whether that person is really ready for a new dog. They can say they want another dog and might emotionally really want one, but are they ready for the responsibility? Perhaps they want a dog, but not just yet. Maybe they have too many other things going on right now. With a gift certificate, they can take the time to consider if they want a dog right now or if they want to wait. So instead of purchasing a dog or puppy as a gift for someone else this Christmas, go to Walmart and pick out a stuffed dog instead. Make your own gift certificate, buy a gift card to a local animal shelter, or write a check and wrap it with the stuffed dog. The person receiving this gift will be very excited. You might even make them cry with tears of joy! Cool Pet Videos at Pet Tube.com! Looking for fun games for Christmas? We found a fun free place online called Black Dog. 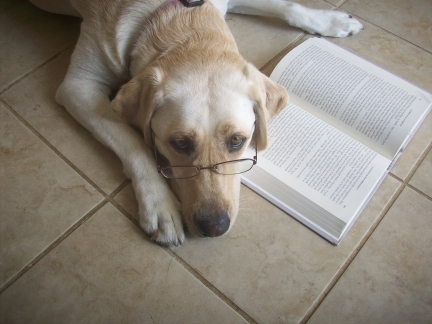 Although called Black Dog, the games don’t have a doggie theme. For doggie themed games, check out Dog Games 123. 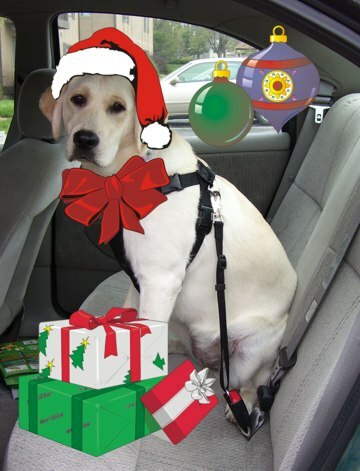 We are still trying to find a good website which combines fun dog games and fun Christmas games. If you know of any, let us know!! We have modified a great Christmas song to our own shelter dog version. The Twelve Days of Christmas is now The Twelve Shelter Dogs of Christmas. Seriously, though… adopting a dog is the best way to go, but be sure you are ready for a new pet. Don’t adopt a dog just because it is Christmas. Adopt a dog because you are ready and you plan on making this dog a permanent member of your family.